Melissa Hege, AICP, LEED AP of South Florida-based Melissa Hege City Planning LLC. emphasizes how distinctive and unique characteristics to a neighborhood can assist in its revitalization. Miami is a big bold city- always in the news, for better or worse. But by comparison, our neighborhoods- our buildings and streets- are timid. 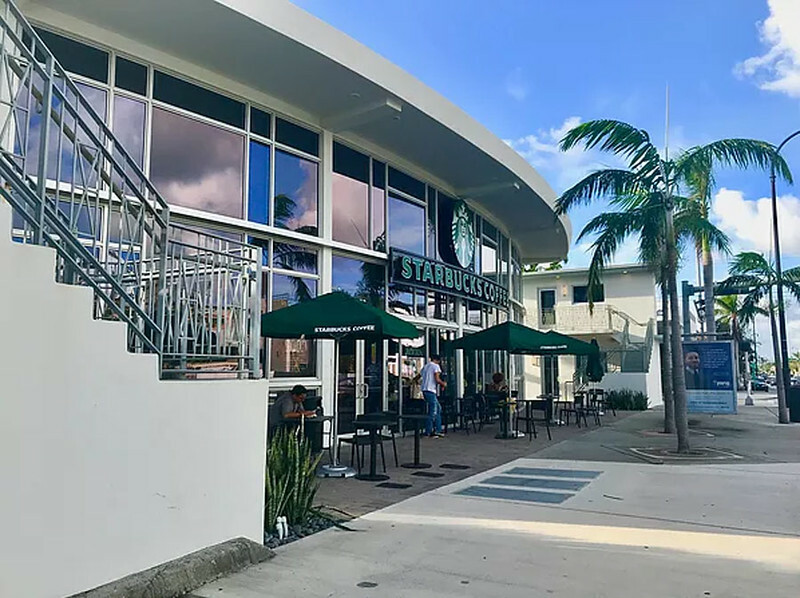 I’m not referring to South Beach which has always been bombastic sometimes at the expense of its residents or the Miami Design District which has some of the most high-quality design in the entire city. Rather, I’m referring to the neighborhoods in between the big ones, which are the glue of this town, but can’t quite catch that wave. 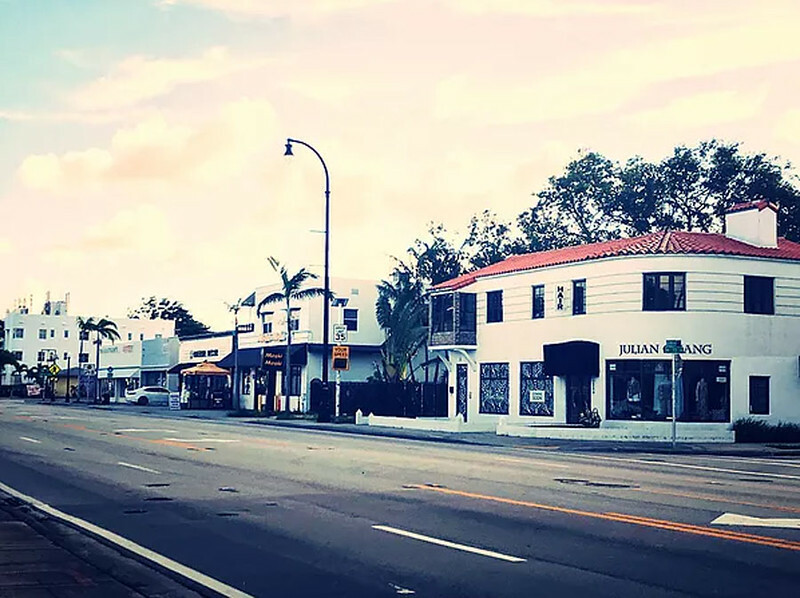 Historic Biscayne Boulevard, affectionately named MiMo Biscayne Boulevard after the overwhelming number of buildings designed in the style of Miami Modern, is one such neighborhood. When I was asked to join the MiMo Biscayne Association Board over a year ago, I wanted to understand all the moving parts and evaluate where I could fit in best. After all, the organization had been clipping along for ten plus years and I didn’t want to step on anyone’s toes. But with all the effort of individual committees and members, businesses still struggle with low foot-traffic and rising rents. It’s a story that’s likely familiar to other communities too. How can a major four lane roadway with some charming historic buildings attract more people? Why don’t more people walk the neighborhood? What can be done to help? And that’s where my internet search started. You need at least 5,000 households per square mile to support retail. 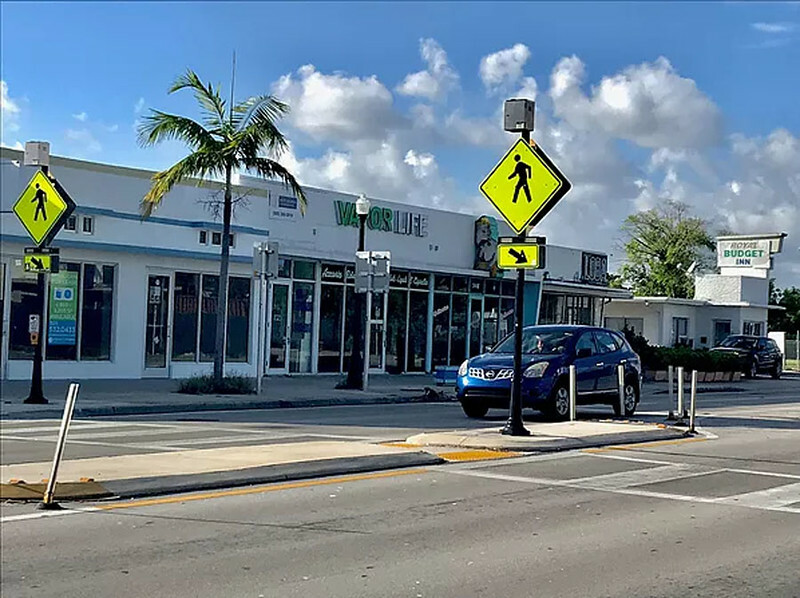 The MiMo Biscayne Boulevard corridor definitely meets this threshold, but most of these folks aren’t going to support much retail. A neighborhood must be easy to get to by car or transit. Traffic during rush hour can be a bear on the Boulevard, but there are great connections to side streets. In fact, the street grid pattern has perfect sized blocks for walking- not too long and not too short. They are 270’ long as we can see in this picture above. So why isn’t anyone walking here? There should already be some successful restaurant and retail hubs that can anchor new stores. Think about the old school shopping mall model which place smaller shops and restaurants in between department store anchors. 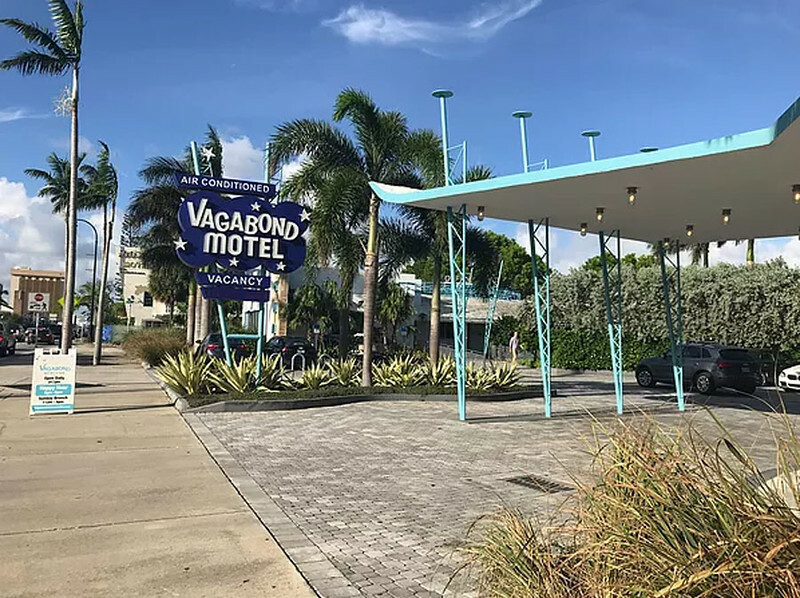 Biscayne Boulevard has lots of them: Vagabond motel, Starbucks, Dogma and Organic Bites. These are exceptional businesses which have added life and distinctiveness to the corridor. It should be easy to cross the street with low crime. Biscayne Boulevard is difficult to cross on foot. The few signaled intersections have such short crossing times that you find yourself running, not walking, to avoid getting hit by a car making a right hand turn. There should be paid or volunteer staff which is dedicated to support improvements. The city of Miami’s Neighborhood Enhancement Team office in Legion Park is the closest we have to dedicated staff. More city assistance could be a good thing. The process can vary, but there some common steps that are universal for revitalization. I know as a planner that all great neighborhood plans start with a vision. Understanding what you want and where you’re headed is the first step. Understand what existing businesses need and create a business-friendly environment. What real estate is available and what can the population support? Then set goals for the merchandise mix. Attract investors, new tenants and customers with targeted marketing and special events. 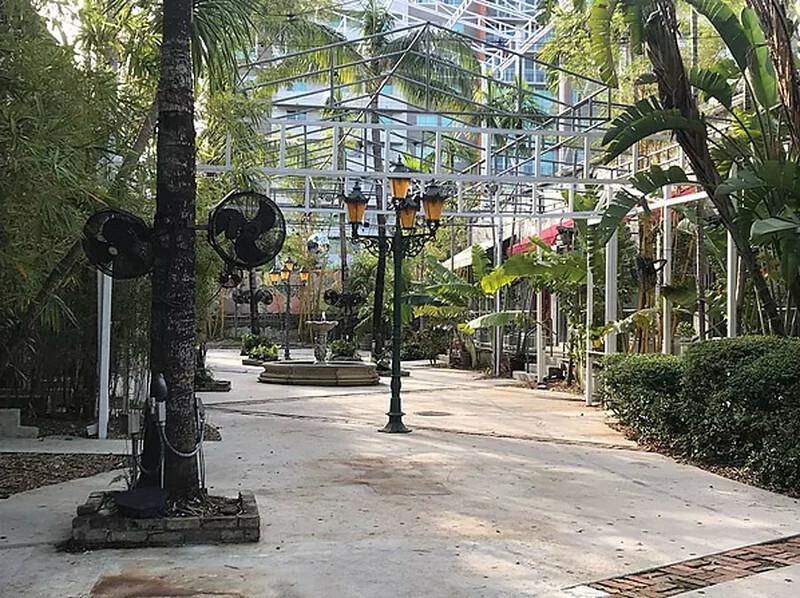 Plan to improve the streets and sidewalks by either piggybacking on planned road construction or finding money from other sources or even transferring ownership to the city. Develop a plan for parking and long term strategies for converting surface parking to parking structures. 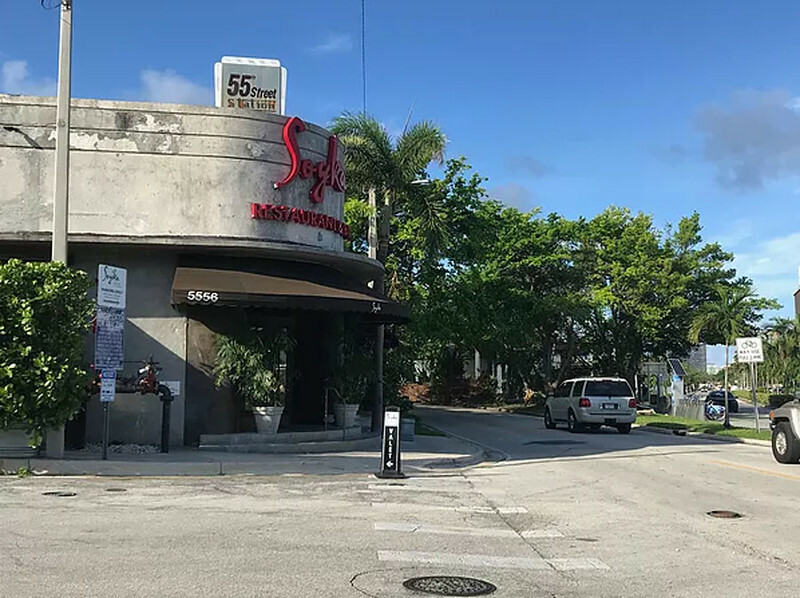 The image above, 55th Street Station, just one block west of Biscayne Boulevard on NE 4th Court, is the best example of what the boulevard can become. One property owner’s vision set this hub in motion. 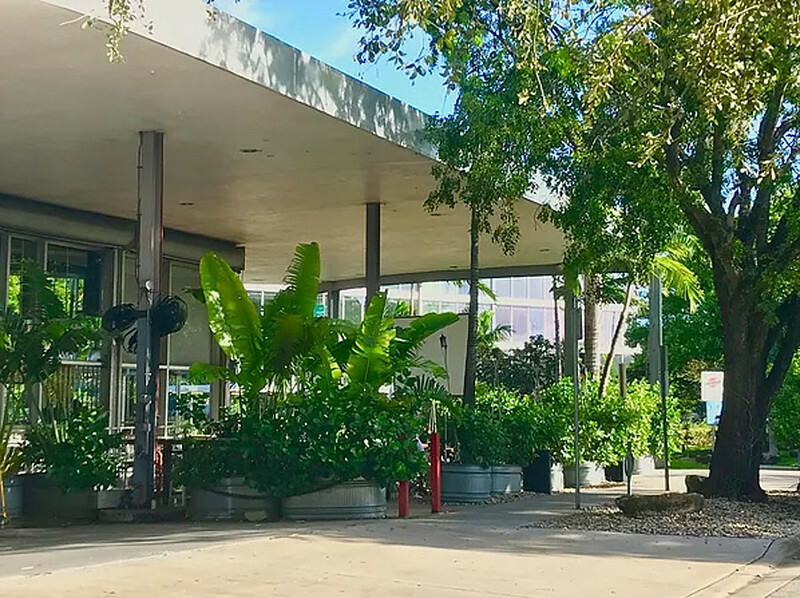 It started by renovating an iconic building- the 55th Street bus shed- as a signature neighborhood restaurant and was supported with abundant and free parking in an adjacent parking lot (a requirement of the city zoning). Here’s where the design genius kicked in. The owner created an interior courtyard with café seating looking onto the main street to encourage people to sit and attract even more people. 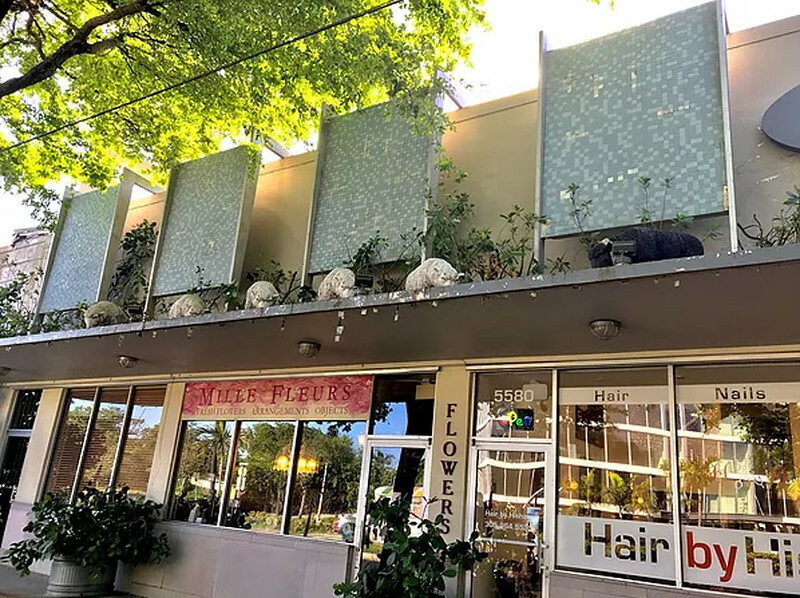 Then came more restaurants with outdoor seating and a pizza joint in a classic 2-story glass mid-century moderns structure. 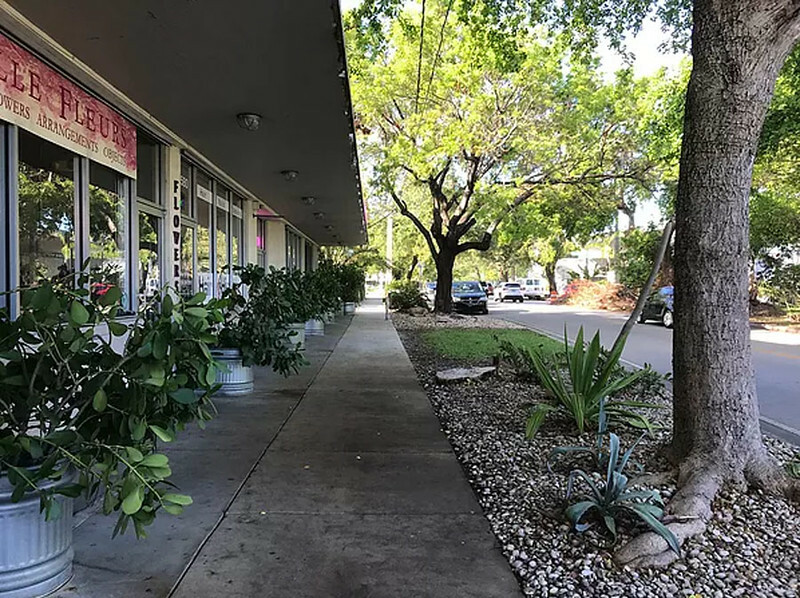 Beautiful shade trees and decorative planters and plantings between the sidewalk and buildings make the space feel like an oasis. And we can see the owner has a sense of humor when one of his retailer installed life sized sculptures of white and one blue sheep above the storefront. Once you have the vision in place which considers all of the details above, modify the building regulations to support it. BIDs create vibrant, clean, and safe districts. They deliver services and improvements above and beyond those provided by the City. Typically 75% of the BID budget is funded by special assessment, most BIDs also fundraise and apply for grants. 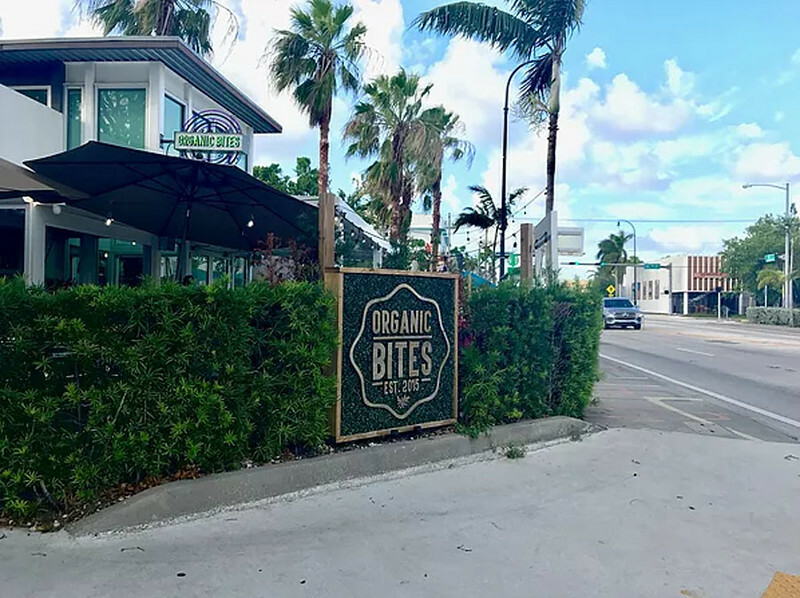 An example you all might be familiar with is the Wynwood BID. It was created to support cleaner and safer streets and to market and promote the area for visitors. The BID pays for off-duty police officers to patrol the streets and dedicated staff to clean sidewalks and welcome visitors. They also have an executive director to keep a watchful eye and initiate the Wynwood marketing and media relations plan. 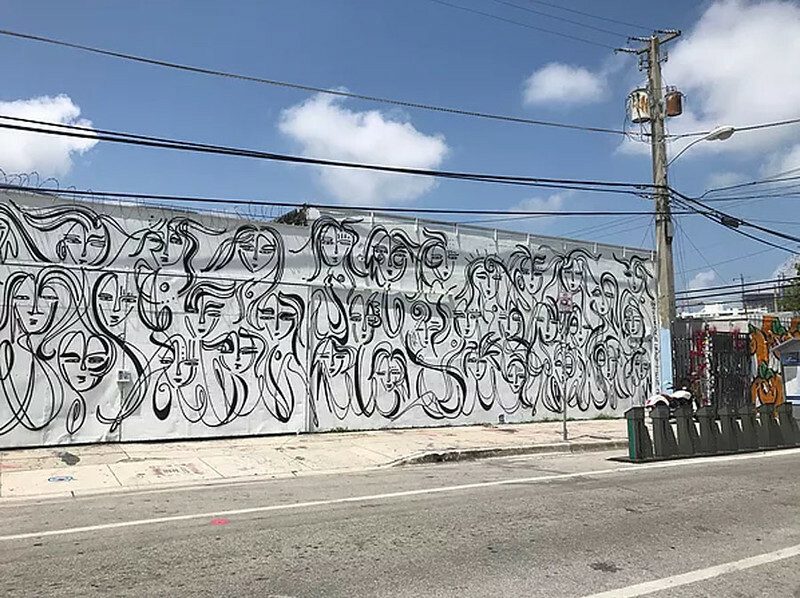 Wynwood was created by a handful of truly talented property owners who built two really great restaurants first, then invited professional artists to “muralize” the really decrepit and dodgy warehouse buildings and finally created a monthly art walk event at night to draw traffic and attract new investment. It worked. Florida Main Street is another option. While they don’t offer a dedicated funding source, they do provide technical assistance for traditional historic commercial corridors and grant opportunities. Main Streets uses a four-point approach to making better retail streets: local partnerships, coordinated marketing, improved design for better looking streets and economic strategies to improve what is already there and attract what is desired. Yet another option which can also be found in Miami are Special Improvement Districts (SIDs). Special assessments are levied on property owners to pay for specific improvements. Downtown Flagler Street improvements are partially paid through a special assessment. This shows the commitment and desire on the part of the property owners and demonstrates the need to prioritize projects. Bottom line, money talks. Finally, many of the most successful places are funded by the private sector. Developers can pay for new sidewalks, new streets, trees, lighting and even transit. 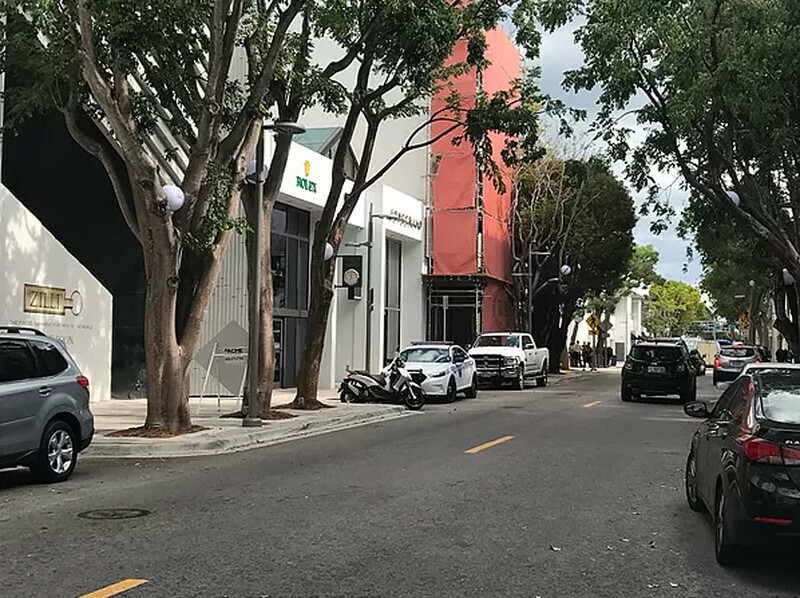 For example, most of the road improvements in Miami’s Design District, were bank rolled by the developer. These gorgeous streets are the perfect accessory to the exquisitely detailed storefronts with some of the most expensive fashion houses. So with all this great insight, what could the Boulevard be? Focus on the anchor hubs and learn from 55th Street Station. Start with the plan and get input from businesses and property owners. Landscape between sidewalks and buildings. Add more trees! Develop a marketing strategy with regular special events. Figure out the ideal tenant mix. What’s working and is there a common theme? Lean on the city to provide more guidance and support. And most importantly, use what you got. 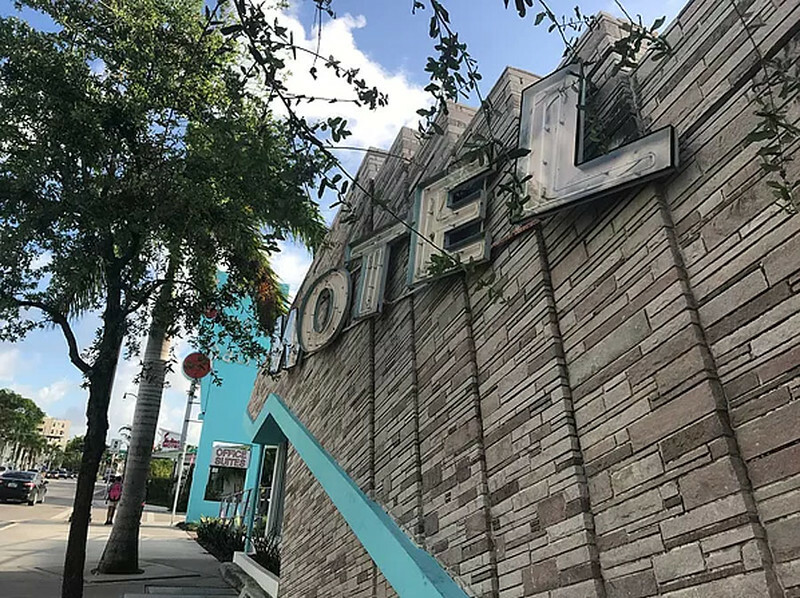 Great buildings to start, but we have an incredible collection of funky and historic neon signs. Emphasize these special characteristics which are distinctive and unique to the neighborhood. Go Coppertone girl!